Summer is upon us and I couldn’t be happier. It’s been consistently around 100 degrees here for the last couple of days, but you won’t hear any complaints coming from me. I’d much rather take these high temps than snow or rain any day! Plus, these warm summer nights are complete perfection. You know what else is perfection…? These red, white, and blue pop rock donuts that I made for the 4th of July! 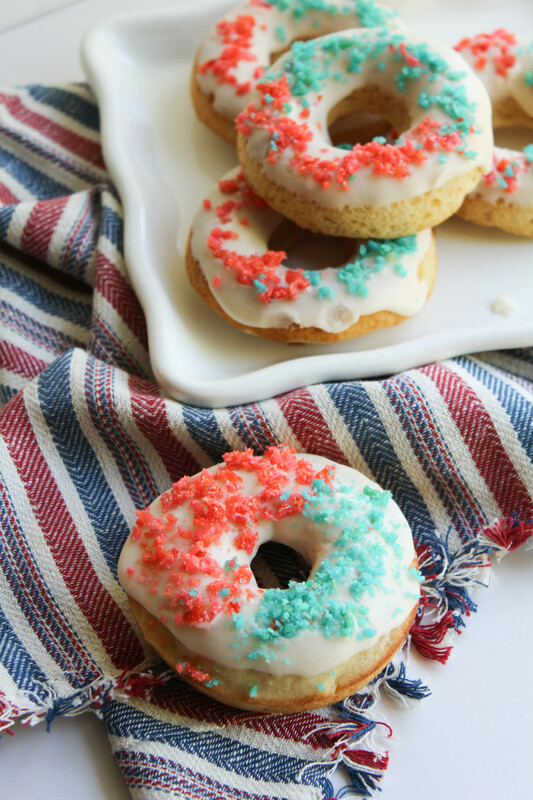 Vanilla cake donuts paired with a vanilla glaze and topped off with pop rocks to create the perfect “firework” flavor explosion in your mouth. 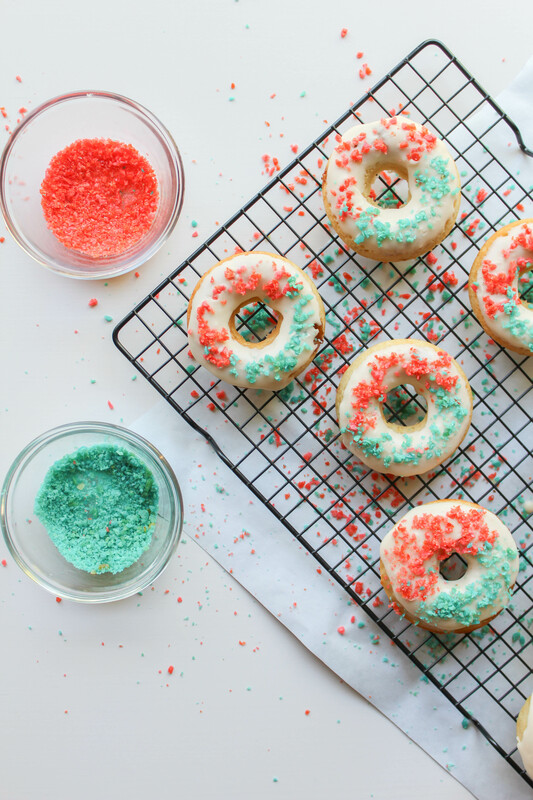 These donuts are fun and festive and perfect for the kids too! 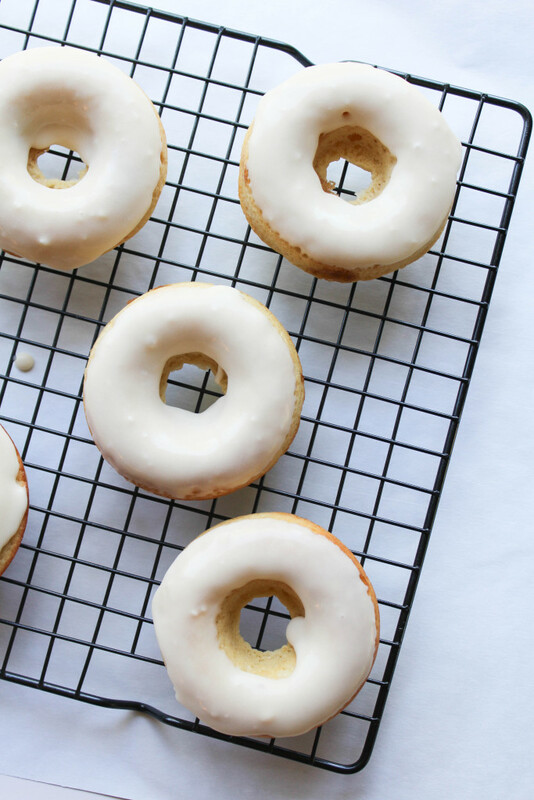 For this recipe, I baked the donuts, instead of frying them (that makes them healthy…right?) and used a donut pan to give them the shape of a regular donut. (If you don’t have one, you can get one here. It’s really inexpensive and I’ll definitely be using it A LOT in the future). I’m not going to lie to you guys either…these pop rock donuts are SUPER EASY to make, so you have no excuses not to make them for your 4th of July gatherings this year! First, preheat your oven to 350. In a large bowl mix your dry ingredients together. In a separate bowl, mix the milk, butter, and the egg together. 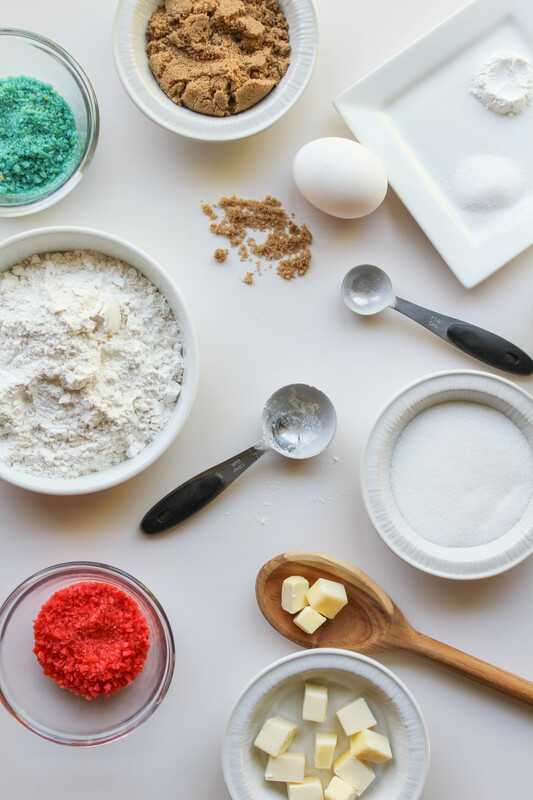 Carefully pour your wet ingredient mixture into your dry ingredients. Mix together. Once combined, spoon your mixture into your greased donut pan. Bake for 10 minutes, or until very lightly browned. While your donuts cool, prepare the vanilla glaze. First, whisk together the powdered sugar, melted butter, vanilla and a pinch of salt. Stir in the milk and whisk until the consistency is smooth. 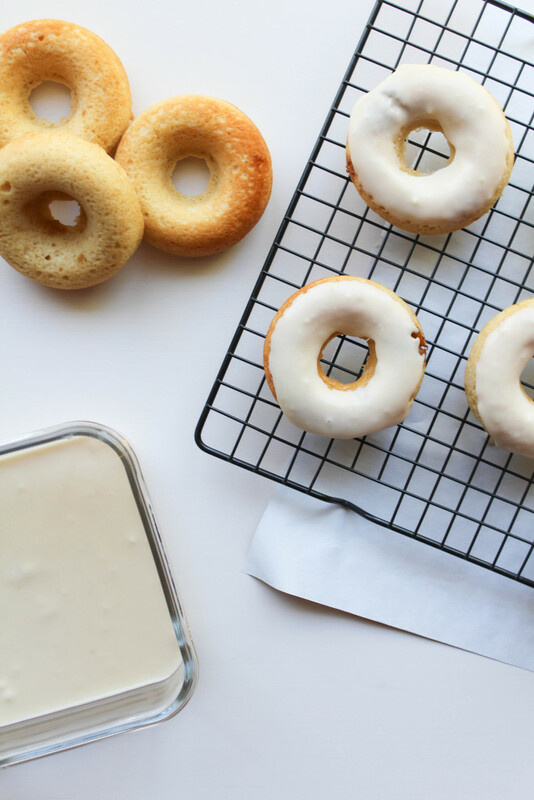 Pour the glaze into a flat and wide bowl, which allows you enough room to dip your donuts. 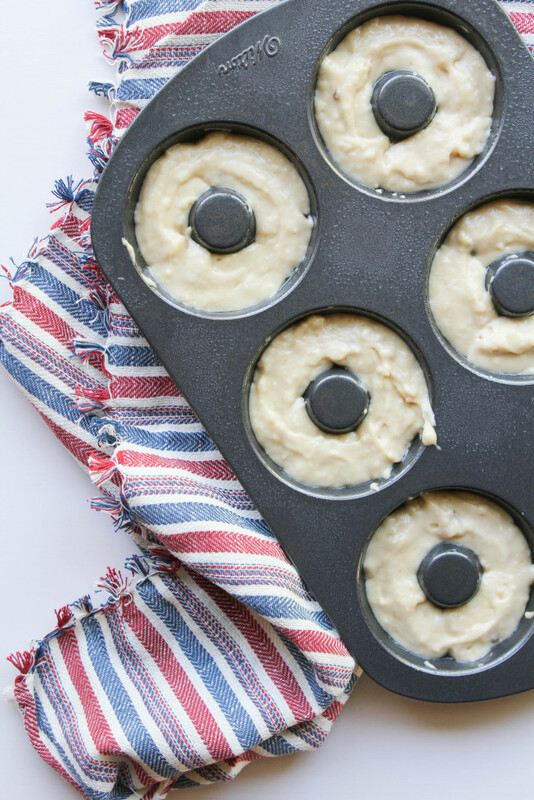 Gently dip each donut into the glaze and rotate to ensure you are covering the entire top of your donut. Once the donuts are dipped, top with red and blue pop rocks! The pop rocks add the perfect crunch to the top of the donuts and are so much fun for kids and adults alike to munch on.